We are continuing to support efforts to increase and promote recycling in Lyme Regis and Uplyme. Research is underway into the statutory household recycling facilities of other local authorities and also what is provided for commercial customers with the aim of improving the situation. West Dorset County Council is responsible for Lyme Regis and East Devon Council for Uplyme. Information is also available on the Plastic Free Lyme Regis web site. 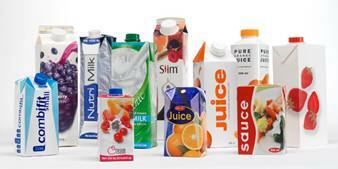 And for other beverage cartons widely used to package milk, fruit juice and an increasingly wide range of food products, including soup, chopped tomatoes and pulses. Dorset Waste Partnership has placed a new container in Holmbush Carpark, alongside one for textiles and one for aluminium foil. Kerbside recycling is not available at the moment for coffee cups or food and drink cartons but by taking them to Holmbush, we can do our bit for recycling and make a dent in the huge number of paper coffee cups with plastic lining that need to be recycled separately from paper collections . Take away coffee cups can also be taken to Costa where they are stored and taken regularly to Costa’s own recycling centre for cups. You can take in cups from other cafes/shops are well as any purchased from Costa. How’s this for a present?! We would like to let everyone know that Tracey West, active TLG supporter and CEO of The Word Forest Organisation, has decided to make her book – E Book of Rubbish Ideas – available for a free download. Sold out in print, the book is packed with simple tips and has several guided calls to activism that are easy to replicate and engage others with. Despite the fact that the dates and figures are slightly out of date, it is a fantastic read for anyone looking to cut down the amount of rubbish they create, particularly the plastic detritus that can be harder to deal with and is currently causing chaos on land and sea. Here is the link. Do consider giving a donation with each download to the work of The Word Forest Organisation, Tracey’s reforestation charity. They will turn that gift straight into trees in forests in Kenya. These will remove carbon dioxide and other pollutants from the atmosphere and also help lift impoverished communities out of poverty.